From offering a trendy statement to making the most out of your gadgets to keeping them safe and protected, mobiles phones accessories serve a wide range of purposes. But no matter what you are looking for, Jumia promises to bring you the best products at the lowest prices online. Be it a Power Bank to charge your phone when it gets low, a Bluetooth handsfree for communication while driving, or mobile phone chargers, we have all your needs covered. By featuring a massive selection of authentic products from top brands at astonishingly affordable prices, we provide a variety of offerings to choose from and buy without breaking the bank. The mobile accessories you pick will not only enhance your gadget experience but will also add a dash of pizzazz and liveliness to your everyday life. That's why, we at Jumia, make sure our choice of mobile phones and tablets accessories is an incredible mix of both, style and practicality. Mobile accessories enhance the style and functionality of your mobile phones. 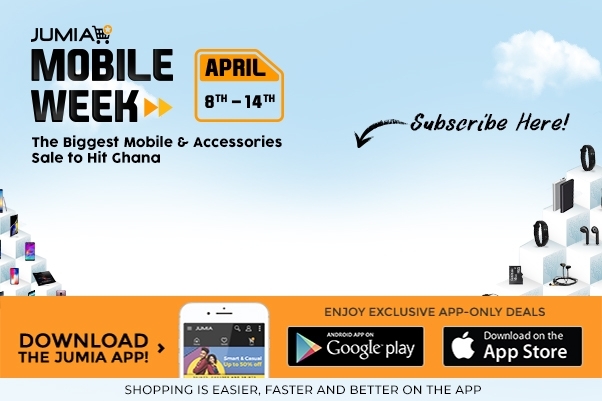 Shop online for attractive and cool mobile accessories available at affordable prices at Jumia Ghana. Our cell phone accessories lend a comprehensive solution to your mobile communication needs. Mobile cases and covers offer additional protection to delicate smartphones and give a smart makeover to old cell phone models. Bluetooth headsets, mobile phone speakers, and headphones. Portable chargers, power banks, and Bluetooth devices can increase productivity with convenience, and we offer them at affordable prices too! There is an array of discounts on mobile phone accessories for all leading cell phone brands including Samsung, Lenovo, Apple, Infinix, Tecno and more. You can choose the accessories based on colours, designs, utility, customer reviews or price range. Once online, you get to choose from a variety of phone accessories including phone cases, speakers, kits, audio adapters, headsets, data cables, SD cards, chargers and much more at attractive discounts.